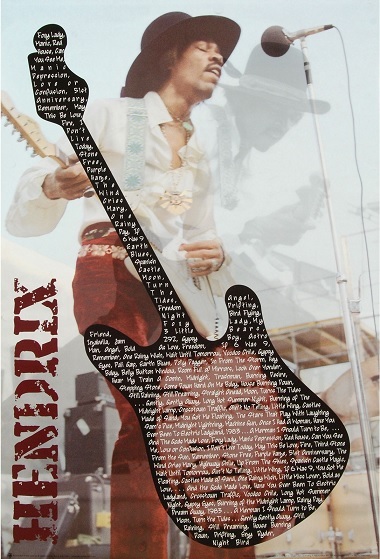 This Hendrix poster has a guitar with song lyrics on it and a live shot of Jimi in the background. Poster measures approximately 24" x 36". Official Hendrix merchandise.